Click here for previous years' program rules and stallions. THANK YOU to all the Bidders who Supported the PCCHA!!! Auction closed Friday, February 1, 2019 ! to confirm the winning bid. Payment Terms: Winning bidders need to make contact with the PCCHA ASAP to establish payment method at 209-727-5779 or by email at Trodman@pccha.com or ashley@pccha.com. 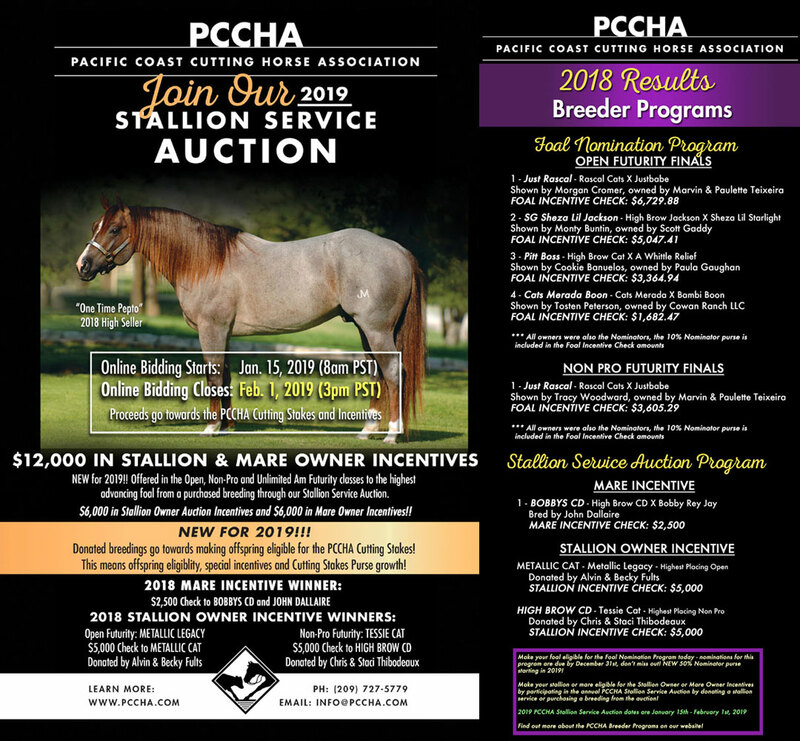 Payment must be postmarked by 5:00 pm PST, February 6th, 2019 or the next bidder in line receives the opportunity to purchase the breeding. We accept Personal Checks, Visa, MasterCard, American Express or Direct Bank Transfers. There is a 5% convenience fee to pay by credit card.